Note : Bonus DVD available with both 2xCD and DVD packages. 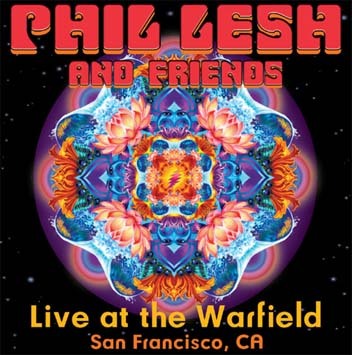 On May 18th and 19th 2006, Phil Lesh and Friends electrified The Warfield Theater in San Francisco, CA with two nights of music that never failed to satisfy. The venerable theater had been visited many times by Phil Lesh and Friends, but never by this exact group. This group of assembled Friends combines a strong jazz background with a touch of blues, a pinch of soul, a good helping of groove, and just the right amount of jamming to keep the faithful dancing well into the early morning. 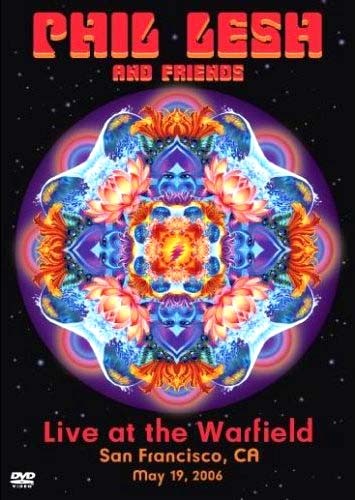 This 2 CD set includes highlights from both evening's performances as well as a bonus DVD that features conversations with Phil Lesh, John Scofield, and Greg Osby, backstage rehearsal footage, and video of "All Along the Watchtower" and "Passenger" which is not included on the DVD. The DVD set is NTSC formatted, no region encoding (plays anywhere).